The Super Collagen™ in this formula is composed of nineteen amino acids, and is a great source of glycine, proline, alanine, and hydroxyproline. When you take these products orally it helps to reorganize new collagen and build mechanical strength of the connective tissues. While there is still lots of research in the field of collagen supplements, we do know that it is great for your body and connective tissues. 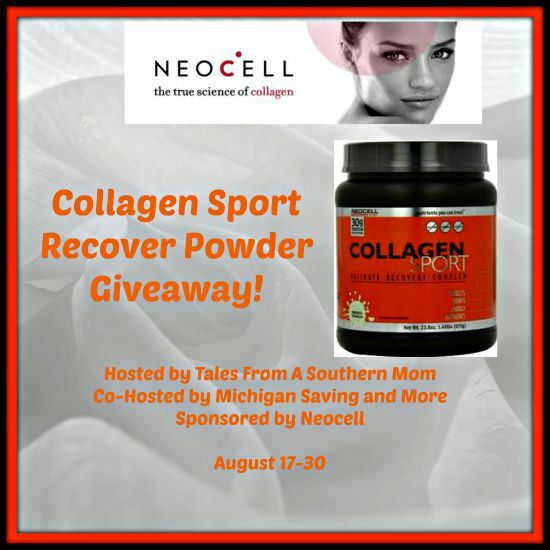 Read a review here all about this Sport Recovery Collagen. If you are going to take something to help you recover I suggest the Collagen Sport Recovery mix as it tastes great, mixes well and will help your body recover better from the inside out. You can try this great powder out for yourself when you win this giveaway! Enter below and good luck all!